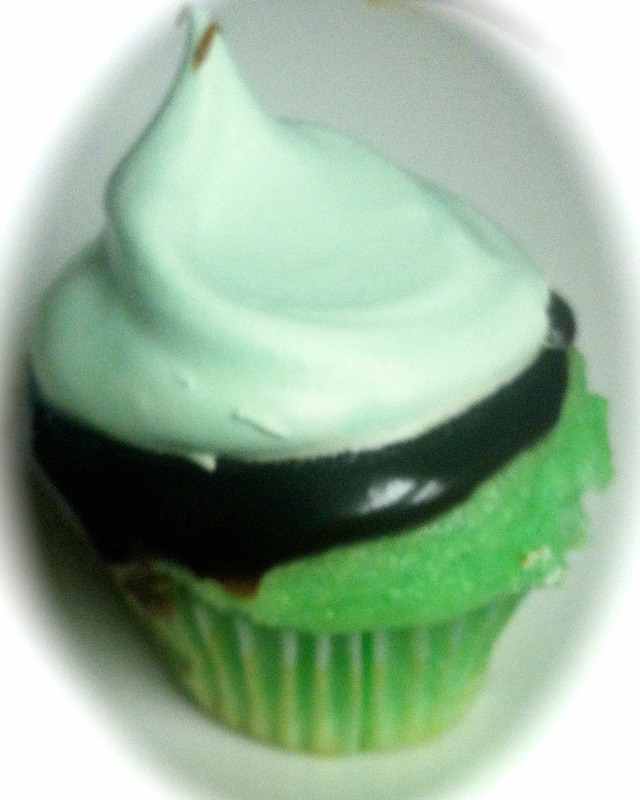 Taste of the Irish–Creme De Menthe Cupcakes, a SIMPLE & TASTY St. Patrick’s Day Treat! Though I previously posted our homemade Chocolate “Wacky” Cupcakes with fudge icing, I am planning to do a series of cupcakes over the next month. These are a “cheat” cupcake in that they are SUPER easy to make (cake mix with a kick easy) and OH SO YUMMY!